Designer Approved: 5 B&Bs That We Love — The Denizen Co. Designer Approved showcases brands that set the curve for branding and visual marketing. Today, we will take a look at 5 boutique B&Bs that we love. Based in Mexico and the South Pacific, Coqui Coqui is a perfumeria, spa and boutique B&B rolled into a single niche lifestyle brand. We love Coqui Coqui’s region-specific offerings. With five residences spread all over the Yucatan Peninsula (and soon expanding into Bora Bora), Coqui Coqui offers sensory experiences derived from each location’s rich history and unique topography. In fact, the culinary and spa amenities at each residence are specific to that area. Stay true to your locale. Whether you’re running a restaurant or a pottery studio, think of creative ways to showcase the natural offerings of your town or city. Founded by French-Belgian couple Sarah and Grégoire, Riad 42 is a charming riad located in the historical medina of Marrakech. 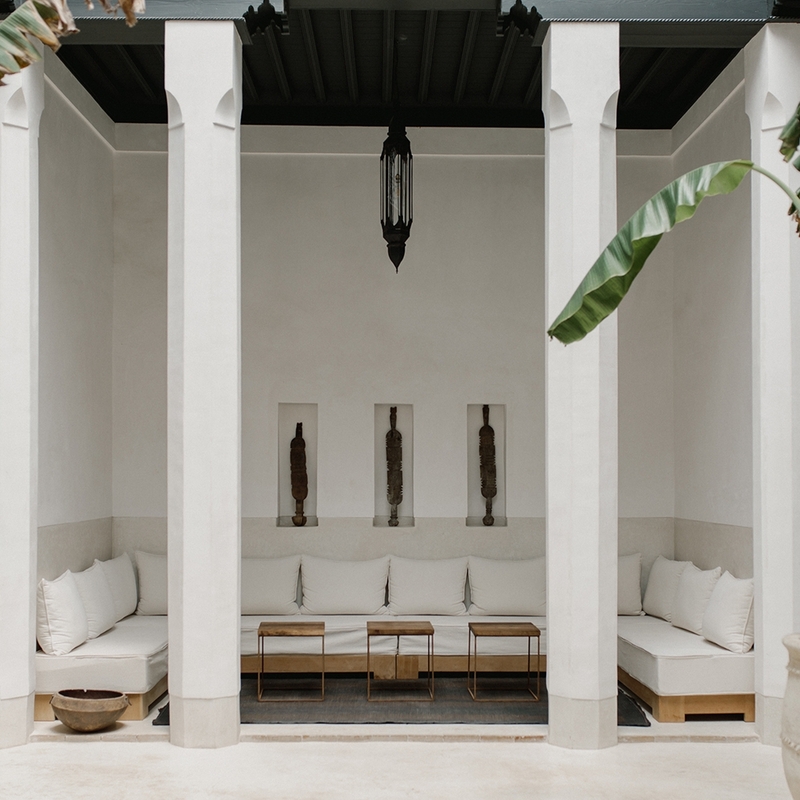 Riad 42 fuses minimalism with the distinct architectural details and silhouettes of Marrakech. 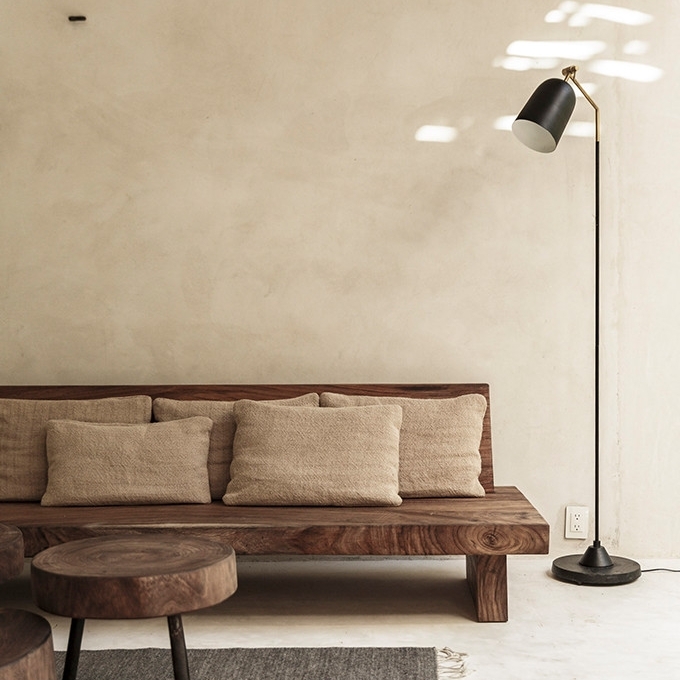 We love that their guesthouse looks distinctly Moroccan, yet serves as a calming hideout from the hustle and bustle of Marrakech. Think in silhouettes. If you want to stay true to your locale but have a different color palette in mind, honor other visual cues like the shapes and silhouettes of the region instead. Located at the edge of a tropical jungle, Tulum Treehouse is a 5-bedroom tranquil residence with a luxurious rooftop that can accommodate up to 10 people. Tulum Treehouse is less of an amenity-driven “hotel” accommodation and more of a collective art space that showcases the works of international and local designers and makers. They feature their artisans prominently and artfully manifest the integrity of local craftsmanship. Believe in the power of collaboration. Tulum Treehouse is a shining example of what happens when designers and makers come together to dream up a sanctuary. Located just outside of Salida, Colorado, the Poor Farm is a 5-bedroom historic farmhouse with private river access and stunning views. A sanctuary restored and designed by one of our favorite cocktail bitter makers Dram Apothecary, the Poor Farm was conceived with as much love and acute attention to detail as their bitter concoctions. From their bed railings to leather-bound books, we love the Poor Farm’s meticulously selected furnishings and décor items. Details matter. Your branding system should extend far beyond your logo and digital output – let it inform your physical space as well. Located in a 10-hectare secluded farmland outside of Ibiza, the Farmhouse at La Granja Ibiza epitomizes the virtue of historical preservation. La Granja Ibiza is first and foremost a local initiative that supports island preservation and organic farming in partnership with the Ibiza Preservation Fund. We love La Granja Ibiza because their farmhouse accommodation – as stunning as it is – is an off-shoot of a much larger vision: to preserve “the real Ibiza”. Think big. Every business has a societal imprint. Think about ways that your brand can contribute to larger conversations about community and sustainability.